This week, I traveled to Detroit, Michigan, an area that has seen its share of economic challenges. I was invited to celebrate in Detroit Mayor Mike Duggan’s announcement that USA Funds has made a $1.25 million commitment to improving graduation and employment outcomes for Detroit Public Schools students through the Jobs for Michigan’s Graduates program. With this investment, 1,000 Detroit students will receive instruction in job attainment and retention, leadership, and self-development paired with mentoring, academic support, and exposure to employers. This is a great project that supports several of MBK’s goals. 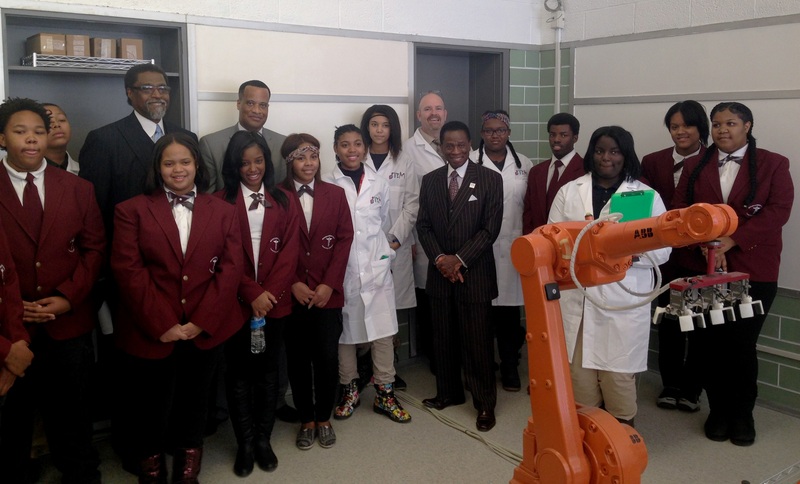 It is my hope that more communities like Detroit will find ways to help their young people thrive and succeed. The young men and women that I met in Detroit represent our nation’s future, and we owe them every opportunity to build a better and brighter future for us all. That is the core of the My Brother’s Keeper initiative, and I am honored to be a part of it. I know that I had certain advantages growing up. I have never forgotten that I was blessed with opportunities absent to many of my peers. I have carried that appreciation with me and have spent much of my adult life seeking to pay those advantages forward. I chose to serve my community of Youngstown as Mayor for six rewarding years. In 2011, I was given the opportunity to serve my country as a Presidential Appointee with the Office of Recovery for Auto Communities and Workers at the U.S. Department of Labor and now in my current role as Assistant Secretary of Commerce. The chance to serve America’s first black President and to help communities across the country strengthen and grow their economies to help their people prosper is truly humbling. As Monday marks the celebration of Dr. Martin Luther King Jr.’s legacy, I am especially proud to serve. Dr. King once asked, "Life's most persistent and urgent question is: 'What are you doing for others?’" I invite you to forget about your #FirstWorldProblems this MLK day - our National Day of Service - and instead think about how you can be of service to end the problems of inequality and lack of opportunity in our so-called First World.